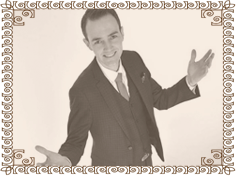 Taking over 10 years of experience as a magician and illusionist, Dave has created magic that is fresh, exciting and sure to be remembered long after you've seen it. Using his extensive background as an actor and stage compare, Dave delivers a show that is high energy, funny and very entertaining. Whether performing solo stage magic or grand illusion Dave's versatile and unique style demonstrates him as a creative magician winning awards for his presentation of contemporary magic. Dave's shows are devised to not only deliver jaw dropping magic but also to provide a visual colourful performance that will inspire and be enjoyable from start to finish. 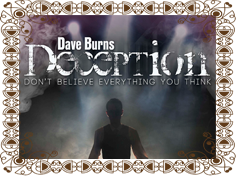 If you want an enjoyable, fast pace, entertaining and funny comedy magician then Dave Burns will not disappoint. Using spectacular illusions draw dropping magic and mind blowing quick change Deception is fast, fresh and unique.